Your initial meeting is free. After a review of your case, I will quote you a fee. Attorney’s fees are included in your monthly payment to the Chapter 13 Trustee. There are no “up front” attorney’s fees in most cases. The filing fees for a Chapter 13 are $281, and they can be paid in installments with $75 down. Additionally, there is a fee for a mandatory credit counseling session. Usually this fee runs between $25 and $50. Unlike Chapter 13, the attorney’s fees in a Chapter 7 case are paid up front. Easy payment arrangements with monthly payments are available. Fees vary in Chapter 7 cases. I will give you a quote during your free consultation. Can I keep my property? Yes. If you file a Chapter 13, you keep all of your property. In a Chapter 7, you are allowed to keep all of your property in most cases. Chapter 7 has generous property “exemptions” that allow you to keep houses, cars and other property. There are occasional cases where some property can be at risk in a Chapter 7. Therefore, it is imperative that you seek the advice of an experienced attorney before filing your case. If I filed a bankruptcy case in the past, can I file a new case? In most cases, the answer is yes. The answer to this question depends on the Chapter you filed before and how long it has been since you filed. You can have only one Chapter 7 Discharge every eight years. Chapter 13 cases usually can be filed whether you are eligible for a Discharge or not. How does bankruptcy affect my bank account? A bankruptcy does not affect your ability to use your bank account in most cases. In fact, a bankruptcy protects your bank account from creditors. If you have a credit union account and you owe them money, they may close your account unless you repay their debt in your bankruptcy case. How long is a bankruptcy on my credit report? A Chapter 13 is on your credit report for 7 years. A Chapter 7 is on your credit report for 10 years. Can I get credit after my case is over? Yes, but you will pay a higher interest rate on mortgages, car loans, credit cards, etc. Many people get in trouble with debt after they complete a bankruptcy because credit is offered to them. I encourage all of my clients to think about debt freedom, rather than getting into more debt. You are better off buying cars, furniture, etc. with cash than you are financing. Many good quality cars can be purchased from classified ads (such as craigslist) for under $2,000. Credit cards should not be used unless you pay the balance in full every month. Running a credit card balance is a rip-off. How will bankruptcy affect my credit score? In most cases, your credit score will take a hit when you file a bankruptcy. Your score will recover over time. Good credit scores allow you to get more debt. You will never have financial freedom if you are always finding ways to go into debt. What is the difference between a Chapter 7 and a Chapter 13? Chapter 7 is commonly referred to as a “fresh start“ or “straight bankruptcy.” A Chapter 7 case eliminates most of your debts without you having to repay them. If you file a Chapter 7, you can keep your home and car as long as you make the payments. A Chapter 7 is ideal for people with substantial credit card debt, medical bills, judgments and signature loans. For more information on Chapter 7, click here. Chapter 13 is a debt repayment plan. Your debts are consolidated and paid with one monthly payment. A Chapter 13 is ideal for people behind on mortgages, car loans, tax debts, support debts, etc. With Chapter 13, you can catch up your mortgage and pay off your car. Also, credit cards can be repaid with no interest. For more information on Chapter 13, click here. 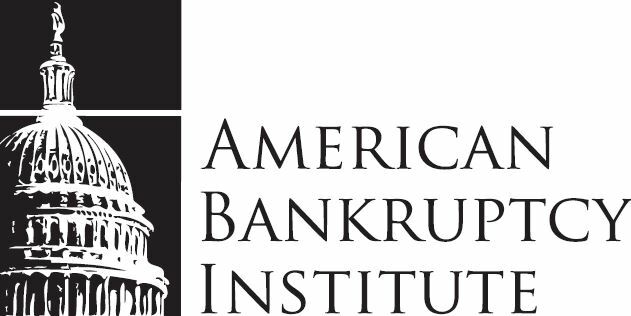 What debts are not erased by bankruptcy? Some debts such as alimony, child support, student loans and recent taxes cannot be eliminated by bankruptcy. These are called “non-dischargeable” debts. However, some types of older taxes can be eliminated in a bankruptcy case. Laws on these issues are complex. You should consult an experienced attorney to see which debts can be erased and which debts cannot. How does bankruptcy affect my spouse? Your bankruptcy has no effect on your spouse unless he or she co-signed any of your debts. If you have co-signed consumer debts, Chapter 13 will protect your spouse. Your bankruptcy will not appear on your spouse’s credit report. Can I keep a credit card if I file a bankruptcy? This is up to the credit card company and the court. In a Chapter 7 case, the credit card holder may allow you to “reaffirm” (repay) the debt and keep the card. In a Chapter 13, both the credit card holder and the judge must agree to allow you to keep a credit card. Can I be fired for filing bankruptcy? Federal law prohibits employers from firing anyone for having filed a bankruptcy. Employers who violate this law can face substantial monetary sanctions and contempt proceedings.